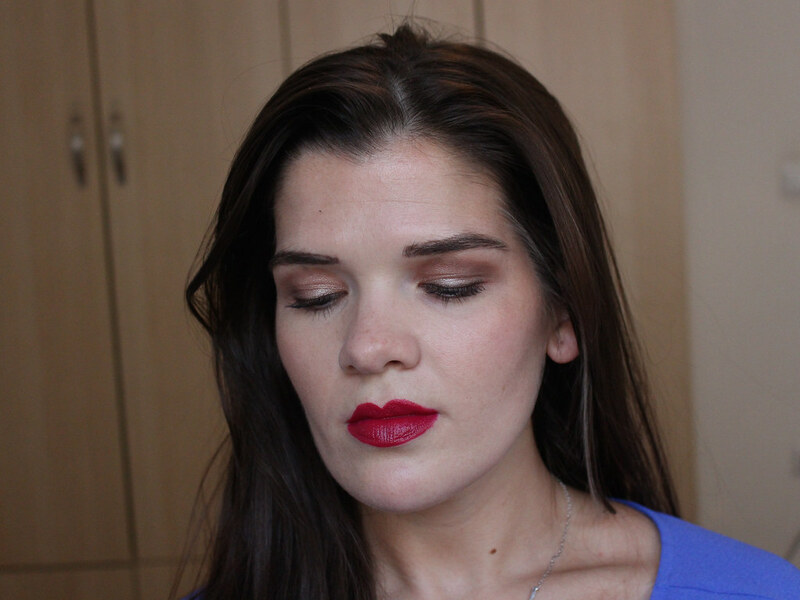 It's hardly a secret that I am a massive fan of Bite Beauty. 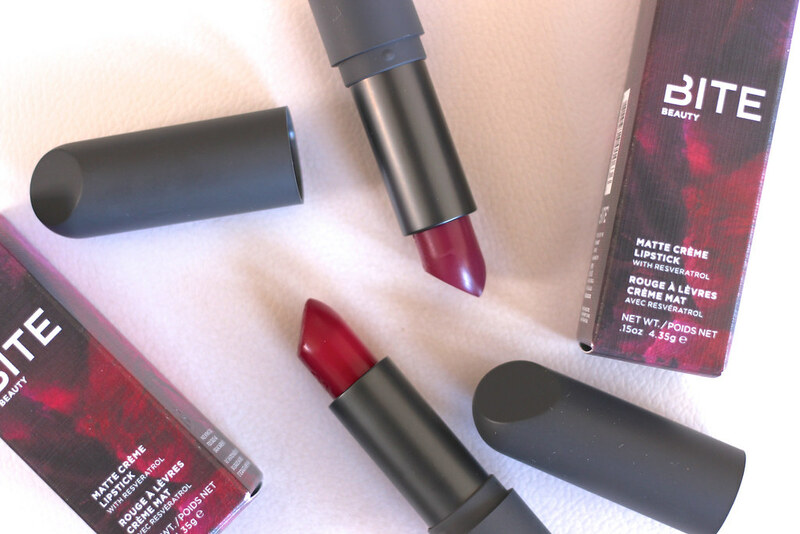 But it wasn't until Maeve over at Lilting Grace mentioned that Bite would be releasing a 'Frozen Berries' lipstick collection that I had any idea this line was about to be released! After I decided on the two shades that I wanted from the collection (I was trying to be reasonable by not ordering all 5), I assumed that they would sell out by the time I was able to get them from the U.S., so I didn't bother blogging about these. But I've noticed that both of the shades I grabbed are still available on Sephora.com and, hopefully, are also still available in stores for those of you who are still interested. So I thought I might as well show these to you and tell you what I think about them. Wearing Juniper. Apologies for the sloppy application!! After much deliberation and help from Temptalia, I decided to order the shades Juniper and Barberry. Juniper is described as a 'deep fuchsia' but in reality, it is a slightly berry-toned red. 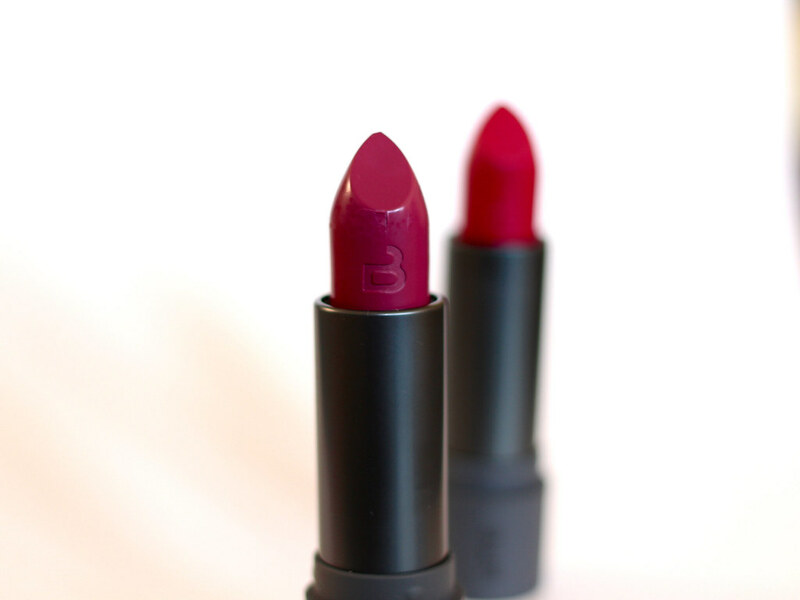 Barberry is a 'muted orchid', which is quite an accurate description of the shade (it's a slightly deeper and less bright version of the YSL Rouge Volupté Shine in 19 Fuchsia in Rage). 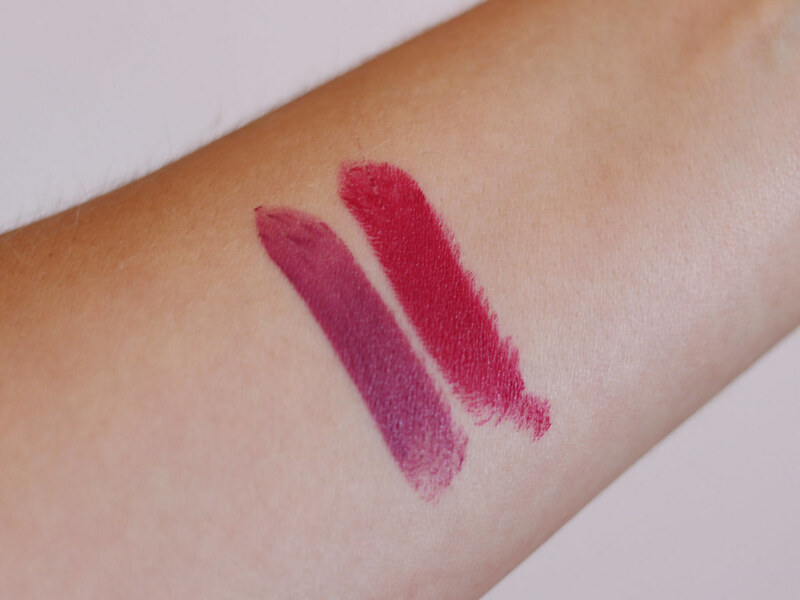 Although the entire line of Frozen Berry lipsticks are supposed to be 'matte crème' lipsticks, neither of these shades are matte. Come to think of it, none of the lines that Bite Beauty describes as matte (like the matte lip pencils) are true mattes. 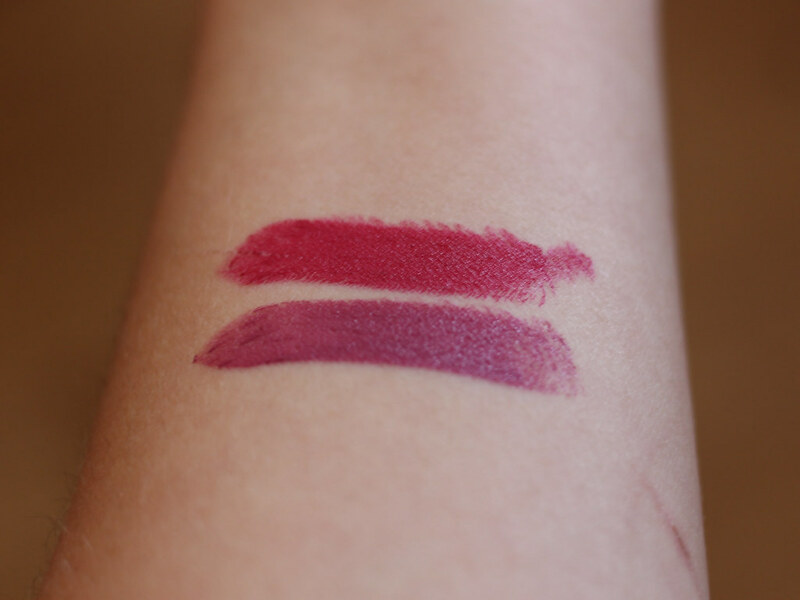 Both of these shades are definitely more satin, with Barberry in particular having a fair amount of sheen or glossiness to it. 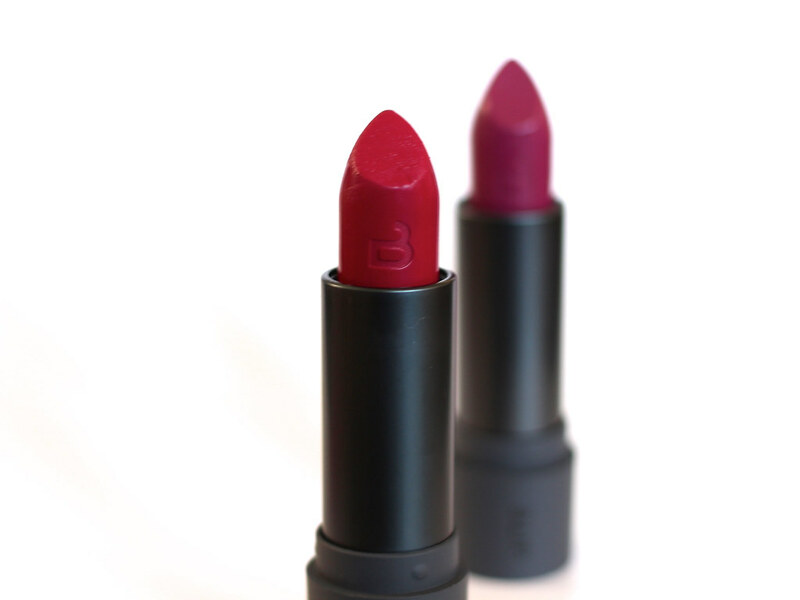 These lipsticks are super creamy and ultra pigmented. I applied them without a lip liner to give you a sense of their true shade, but I would normally always use a lip liner with these. They have decent staying power and they feel comfortable on my lips. 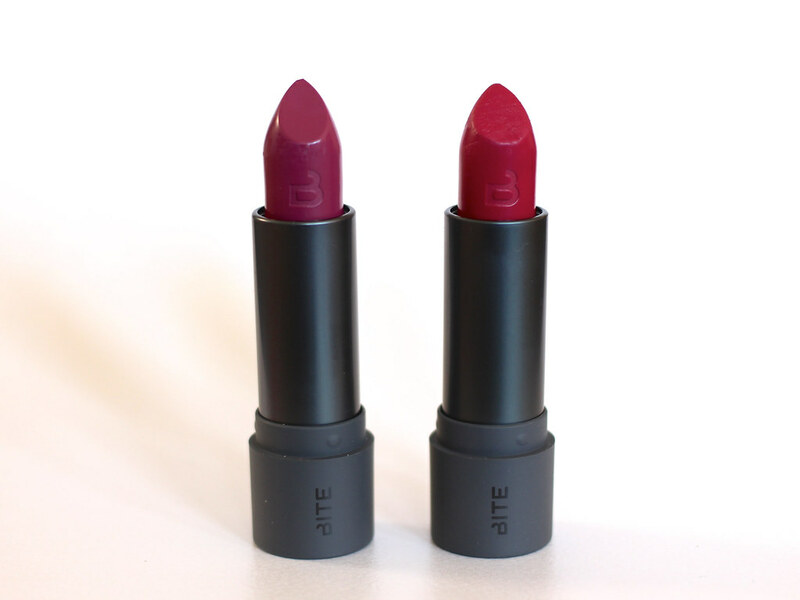 For those of you who like the Luminous Crème lipsticks by Bite Beauty, you will also like these. They also remind me of the Sinner lipsticks from Lipstick Queen, in terms of their creamy feel on the lips and intense pigmentation. 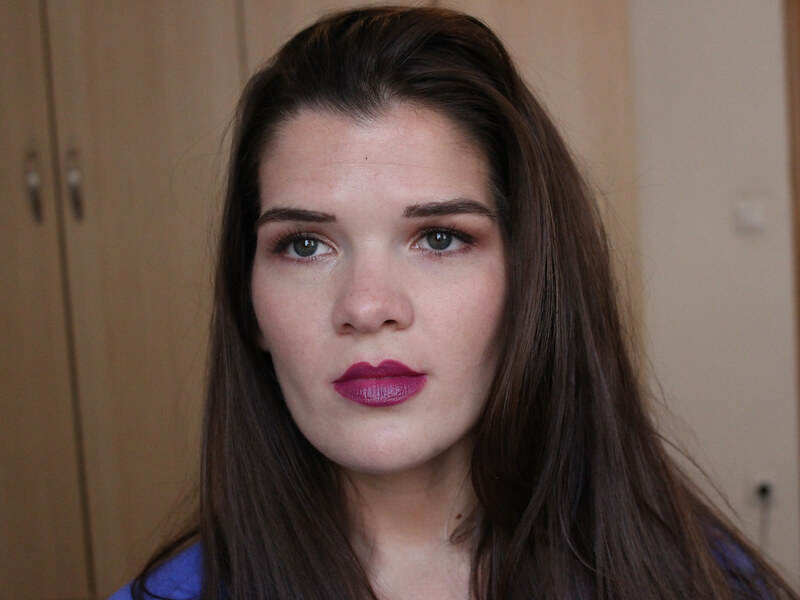 Juniper is definitely my favourite of the two, as it's a shade I can see myself wearing a lot more often. But Barberry isn't so extreme that it's not wearable and I think it would be beautiful when blotted down to a lip stain. Overall, if you are a fan of Bite, I think these are another hit product. They have definitely put me in the mood for autumn! Available at Sephora for $24. If you want to follow check out my Bloglovin, Instagram, and Twitter!